I met with Michael’s friend, Sam, at Schuh. 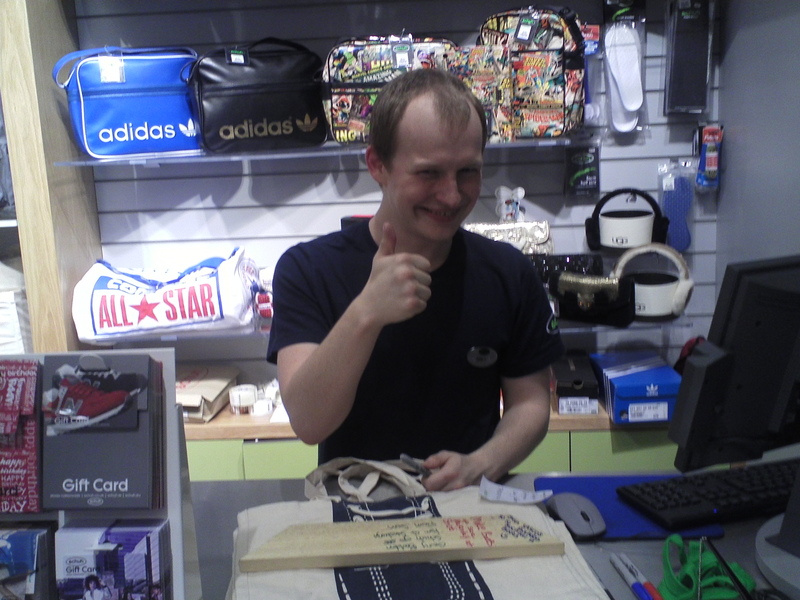 Sam had handed in his notice and was working one of his last shifts at Schuh. He explained that he had enlisted with the forces and was about to start on his training. Sam gave the assemblage a bright green shoe lace and then sent me to visit his friend, Gary, who works at the large Sainsburys at Bridgemead.